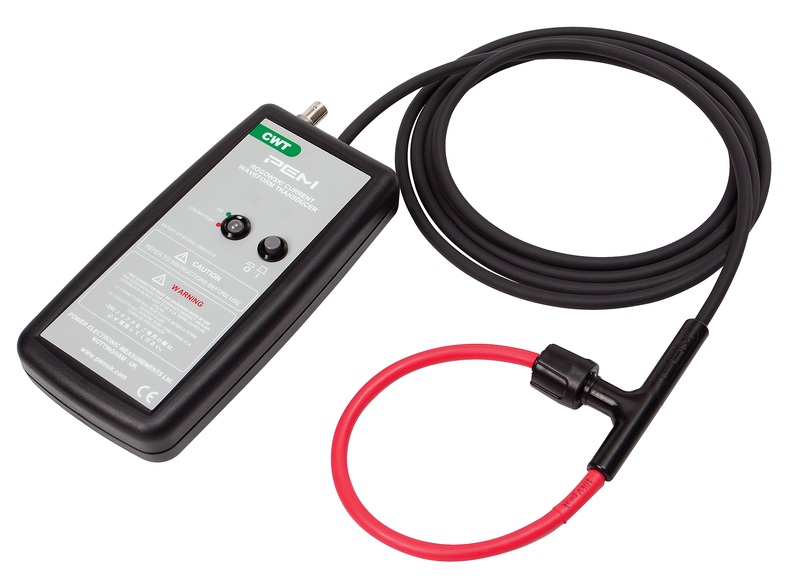 Power Electronic Measurements (PEM UK) has developed the probe, offering higher frequency operation and improved e-field immunity. The clip-on Rogowski current probes provide a convenient, wide bandwidth means of measuring alternating currents. This latest addition to the company’s CWT range uses a novel electrostatic shielded Rogowski coil to provide immunity to interference from fast local dV/dt transients or large 50/60Hz voltages. The wideband probe offers the ability to measure faster current transient rise-times, achieving a high frequency (-3dB) bandwidth of up to 30MHz for a 300mm coil and can handle a maximum current slope of over 100kA/µs. The robust coil is 8.5mm thickness with a 10kV peak insulation voltage. Target applications are power electronics development in demanding, noisy, high-speed applications, EMC and power quality measurement in motor drives and traction, pulsed power measurements and lightning strike currents. The CWT is available in current ratings from 30A to 300kA, with coil circumferences of 300 to 1000mm as standard and longer available on request.